Frances No. 1 Realty is a local and family-owned and operated real estate agency that serves clients throughout Ardmore, Oklahoma and the surrounding areas. Since 1976, our trained real estate agents have helped our clients buy or sell their residential property or homes. When you work with one of our real estate brokers, you know you’ll get all the details you need about the local community, environment, and property or home you’re interested in buying or selling. From giving due diligence during the evaluation process to marketing your property to the right buyers, we can help. To learn more about buying or selling residential or commercial real estate, contact us today! Frances Woodward is the owner and broker of Frances No. 1 Realty. She started in the business in 1976 and opened her first office in 1977 at Tiffany Plaza in Ardmore. In 1980, she moved her business to its current location at 1110 NW K Street, Ardmore. She has served the Ardmore area and the surrounding counties operating the real estate agency for a total of 40 years now, and is still going strong. She has truly practiced integrity and honesty throughout her long career and her motto has always been, “You are my number one concern”. 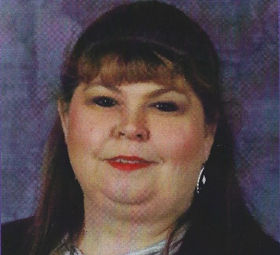 Being instrumental in organizing the Southern Oklahoma Board of Realtors, she has been a member since it was organized, and has held many offices over the years. She has been honored as Realtor of the Year. Frances No.1 Realty has been a member of the Ardmore Chamber of Commerce since the company’s origin. Frances was born in the Gene Autry area of Carter County and has lived in that area all her life. She married Carl Woodward in 1946 and they raised 4 daughters. They owned and operated a small cattle ranch. 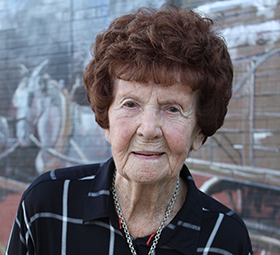 She has always been dedicated to her family and, now, has 6 grandchildren and 6 great-grandchildren. 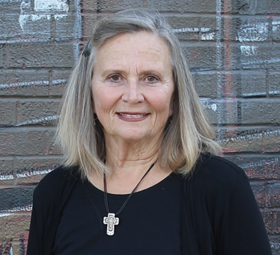 Frances was the dedicated director of the Methodist Youth Fellowship and other youth programs, keeping the community teenagers active and involved. On one occasion, she arranged for them to have their first ride in an airplane and also scheduled many Friday night skating parties. She is known for her pecan pies and the food that she takes to those who are ill or in need, and always lends a helping hand – whether it is at the hospital, nursing home, or to someone who’s down on their luck. She married Merle Maxwell just before their 80th birthdays after the passing of both of their spouses. They enjoy bible study, church and traveling, and are active members and dedicated servants of the LORD at the Gene Autry Methodist Church, where Frances has been a lifelong member. They are “on the go” all the time enjoying their time together and taking care of all the family. Carlene Gragg is a broker associate at Frances No.1 Realty. Being the daughter of Frances Woodward, Carlene Gragg joined the team in 2013. She enjoys being with her mother daily and absorbing her real estate experience, advice, and knowledge. She was raised in the Gene Autry area and, now, resides in Love County with her husband, Carl. They own and manage some rental properties in Marietta, and operate a small cattle ranch as well. They have two sons living in the Dallas / Fort Worth area and three grandchildren. They are active members of First Baptist Church of Marietta, and participate in the Cross and Crown Ministries. Carlene has served 36 years in the public school system and is a retired teacher. She taught high school mathematics and science at schools in Dickson, Ardmore, Lone Grove, Marietta, and Lindsay. She loves gardening, reading, playing the piano, singing in the church choir, and teaching her Sunday school class. James Hayes was born and raised in the state of Alabama. He often goes back for yearly visits and still has that Alabama drawl in his voice. James served in the US Army for 2 years during the Vietnam era and was based at Fort Campbell, Kentucky and Fort Hood, Texas. While he was at Fort Hood, James met and married his wife, Debora, in 1972, who was born and raised in the Ardmore area. They made their home in the Springdale area where they raised 4 children. They, now, have 11 grandchildren, some living in Georgia, Iowa, Texas and Oklahoma, who are involved in all kinds of sports and school activities. With a grandson now playing for Iowa State University, the trips to those ball games are getting longer. James spends his spare time umpiring baseball and softball games – from small children’s games, to high school, college and even the pros. James has been engaged actively in real estate business for the last 10 years and has been associated with Frances No. 1 Realty for all of them. He has developed a unique specialty in handling foreclosures for the company. 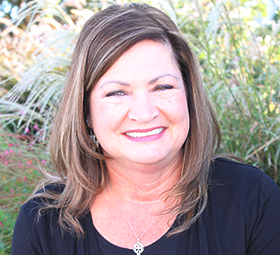 Lesa Adams was born and raised in the Ardmore area. In 1977, she married Steve and made their home in the Dickson area, raising 3 children. They are members of Faith Southern Baptist Church and, now, have 6 grandchildren who are the “apples of their eyes”. They moved to a small cattle ranch near Wynnewood nine years ago, where two of their children live, while one is still in Ardmore teaching in the school system. Lesa and Steve’s grandchildren visit them often and they love to swim in the pool, fish in the pond, and hunt on the property. Lesa is actively involved in the family pecan harvesting business and drives the rake tractor all day during the harvest season. The business is a great way for the family to be together and is enjoyed by all. She has been a sales associate at Frances No.1 Realty since 1999. She joined her dad C.D. Akers in the real estate business here at Frances No. 1 Realty. C.D., now deceased, was a longtime associate and knew everybody. Born and raised in Nebraska, Rita Ponder moved to Oklahoma in 1980, where she started her tenure with Frances No.1 Realty the same year. She is a broker associate and has her GRI credential. Rita is currently serving on the board for the Southern Oklahoma Board of Realtors as treasurer for the group. Rita has traveled extensively abroad due to her husband’s employment and lived in countries like England, Greece, Peru, Nigeria, and Holland, for over a period of 15 years. She has shared her experiences, pictures, and souvenirs with several school classes and other groups. She has also vacationed in several countries. She has a passion for gardening and has a greenhouse full of all kinds of organic vegetables. She also handles a small cattle operation and is an active member of Gene Autry Methodist Church. Rita has raised two children and has a large extended family. She owned and operated a convenience store and also spent time in the lending profession. 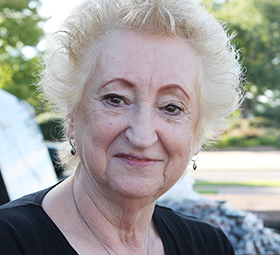 She serves on the board of directors for the University Center of Southern Oklahoma. She has been the president of the American Legion Auxiliary for the last 12 years, having served on their scholarship committee and volunteers at the Veterans Hospital. 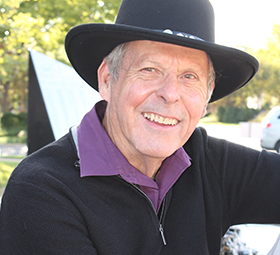 Harold Julian has been an active real estate agent since 1978, and became associated with Frances No.1 Realty in 2014. He is a real estate investor in the rental business and is also a property manager for other investors. 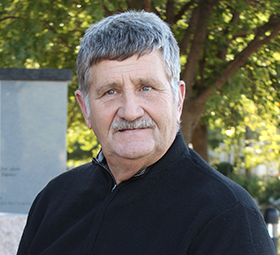 Raised in McCurtain County, Harold attended college at Southeastern State University in Durant, Oklahoma, majoring in business management and business administration. While being there, he met and married Phyllis and they made their home in the Ardmore area. They have one child and 3 grandchildren who live in the local area. Harold is a missionary and a Deacon in Emmanuel Baptist Church in Ardmore, and loves telling people about Jesus. He has been on 11 foreign mission trips to 11 different countries, while his most recent trip was to Malawi. He also is an amateur photographer and enjoys photographing people and scenery. Cherri Hartman recently received her real estate license and came on board with Frances No 1 Realty in February 2017. She and husband, Gary, reside in western Love County and own Horn’s Corner Grocery. Cherri has two children, Clinton and Gracie, and three step-children JD, Cody, and Chastity. Cherri and her family are very active in rodeo and are members of the Gene Autry Roping Club, for which Cherri is the playday chairperson. They raise show/meat goats on their small acreage near Rubottom. Cherri also attends Murray State College majoring in Business Management and will graduate in May 2018. In her free time, Cherri enjoys hunting, fishing, camping, sewing, reading, and just being with family running to rodeos.